Big Foot moving was easy to do business with! They were fast, efficient and personable. They arrived when they said they would arrive and gave an accurate estimate of the move time and was priced competitively. Big Foot Moving & Storage, Inc. specializes in moving offices of all sizes and has developed techniques and efficient systems and procedures to significantly reduce the most common effects of a business relocation – DOWNTIME! If you are either moving a one person or a one hundred person office, Big Foot Moving & Storage, Inc. can provide planning services, moving crews, trucks, and all necessary equipment to safely and efficiently complete your move to a new location. Big Foot Moving & Storage, Inc. is capable of performing local moves (within the Boston metropolitan area) and long distance moves (anywhere within the United States). Whether you require a single office to be moved or an entire floor reconfigured, Big Foot Moving & Storage, Inc. can work with your company to efficiently complete the project on time and within budget. 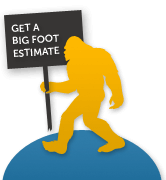 Big Foot Moving & Storage, Inc. can assist with planning and phasing of internal moves – proper planning and phasing is critical with larger internal office reconfigurations. Our installers will take the time to ensure that modular furniture is properly leveled after installation is finished. Big Foot Moving & Storage, Inc. can provide packing and unpacking services for libraries, file rooms, supply rooms, and warehouse inventory. To ensure organized transfer of your library, file room or inventory materials, Big Foot Moving & Storage, Inc. will develop a labeling system to ensure that all items are properly placed at the new location. Big Foot Moving & Storage, Inc. will provide specialized equipment, including library carts and inventory carts to ensure safe transport of materials. Stretch-wrap is commonly used on the carts during the move to ensure materials are not lost or damaged. Big Foot Moving & Storage, Inc. can develop an employee relocation assistance program tailored to the unique needs of your company. With a single phone call to Big Foot Moving & Storage, Inc., our team of professionals will begin working with your employee immediately to help facilitate a stress-free and timely household move. Big Foot Moving & Storage, Inc. will provide a moving / install team to pick up and / or deliver items to or from your office. All items are stored within a secured warehouse environment. Access to the storage unit can be arranged by any person authorized by your company to do so. 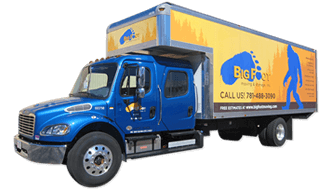 Third Party Services – Arranged by Big Foot Moving & Storage, Inc.